I shared in my last post that I was going to a crop with Melanie, my oldest friend in the whole world (since we were five). I just love that we have this scrappy habit in common and that we are able to sit at a table together amongst other friends to make art. 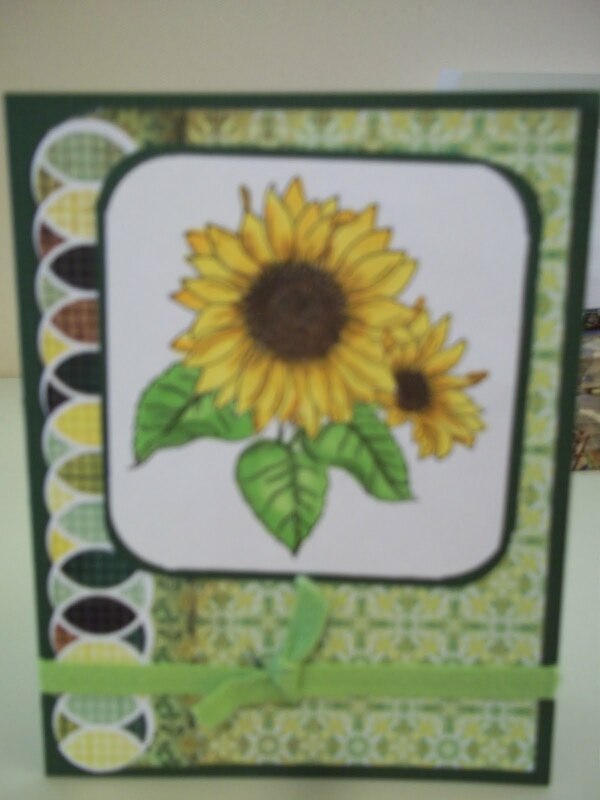 This card is just one of the cards that I made on Saturday. 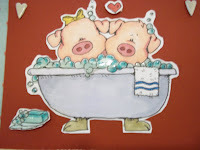 The image is from a stamp that I got in the dollar bin (!) at Michaels and is colored with my beloved copic markers. I'm still learning the whole shading thing with these magical markers, but I think I did pretty well on this image. This image on the right is another favorite. 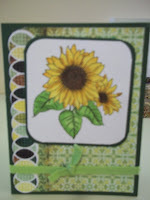 The image was sent to me by an image angel from Splitcoast Stampers and is just adorable, don't you think? 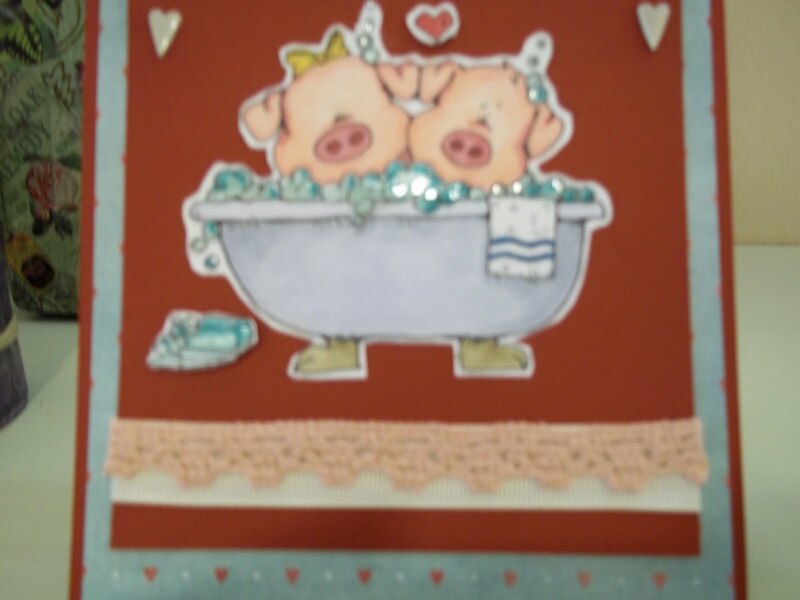 I know that Valentine's Day is months away, but I just couldn't resist making this card. I mean, look at that cute image. 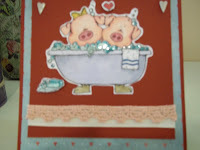 It's hard to see in the picture, but I used a little diamond glaze on the soap and bubbles and popped up the little heart and bar of soap. I wish I had more than one of this adorable image. It was so much fun to color. I had so much fun on Saturday with Melanie. I was there from morning to night and only made eight cards. Thank you Melanie for including me in your group and for such a fun day!